Our two historic chapels are available for indoor services. 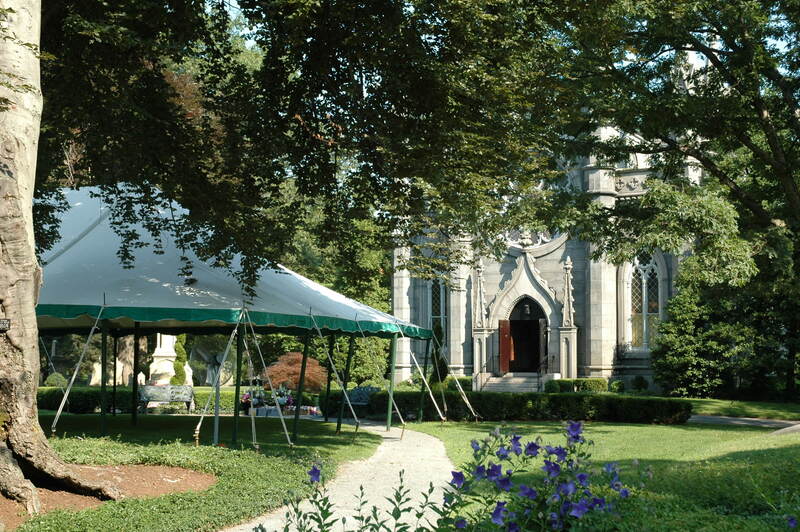 The lawn outside Bigelow Chapel is also a warm-weather option for receptions. 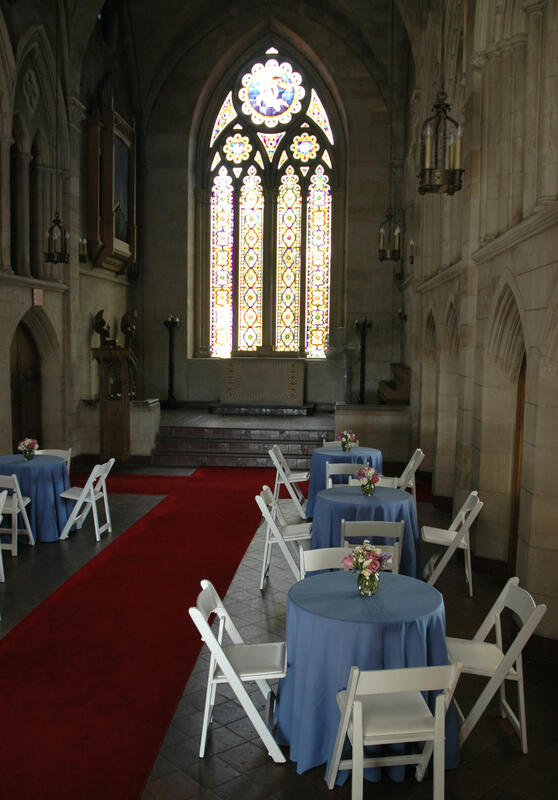 Rental fees vary according to day of week and if chapel use is combined with a catered reception. This welcoming 19th-century red sandstone structure is adjacent to the Cemetery’s Egyptian Revival Gateway. Story Chapel’s architect, Willard T. Sears, intended for it to resemble an English parish church. 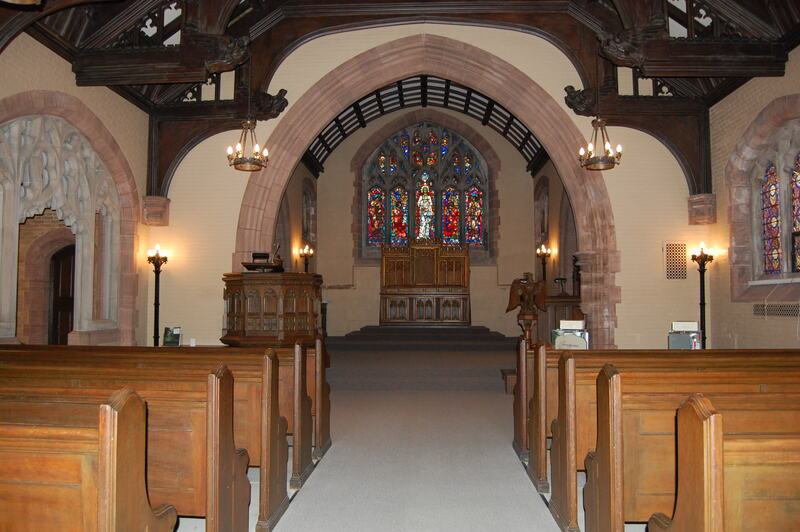 Wood dominates the interior, with carved beams overhead, pews, and a historic pulpit. 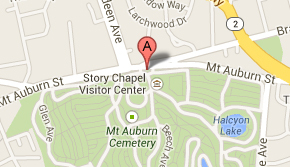 Story Chapel can comfortably seat 175, and has space for additional seating if needed. Fully modernized, it is air conditioned and fully handicapped accessible. The chapel also houses a historic Hook & Hastings organ, ideal for including live music in a service. 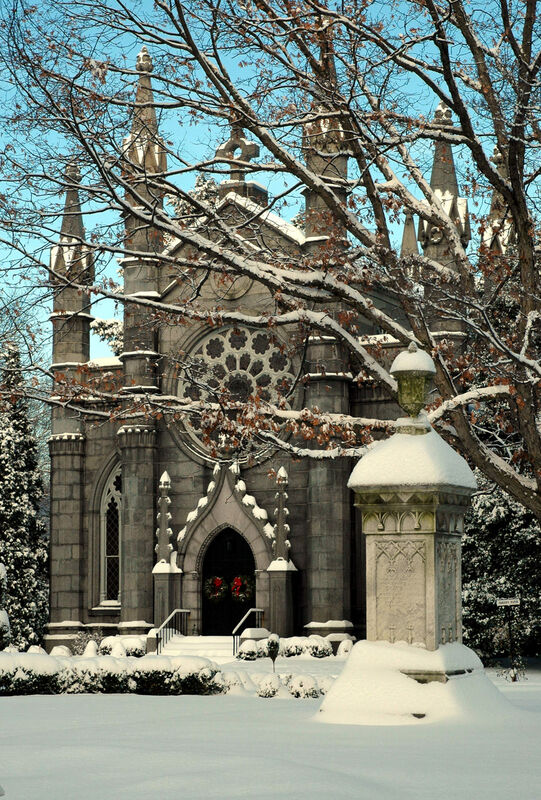 This pinnacle of Gothic revival style was designed by Dr. Jacob Bigelow, one of the founders of Mount Auburn. 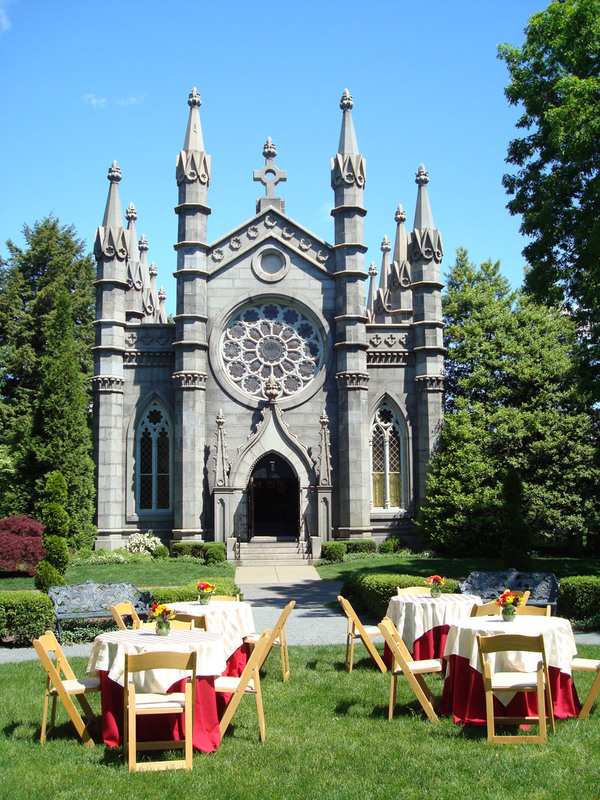 Granite spires grace the exterior, while the interior features soaring ceilings and magnificent stained glass windows. 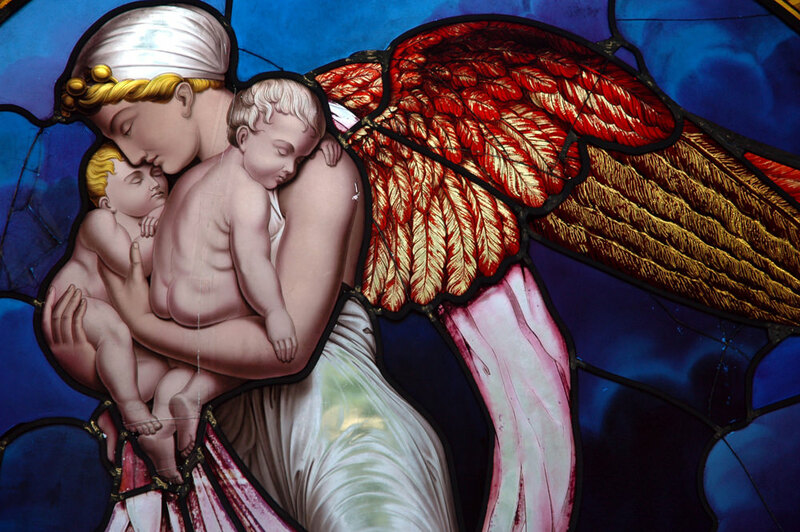 The two largest windows, imported from Scotland in 1845, are significant works of art. 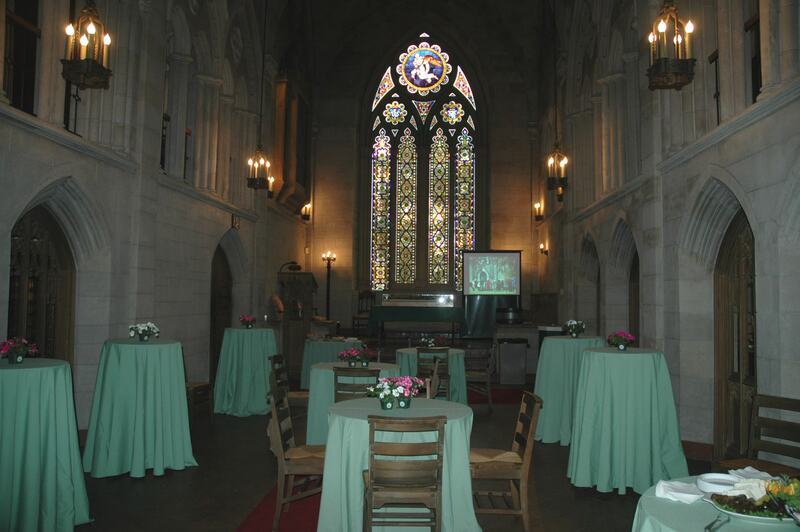 Rows of wooden seats inside the chapel can accommodate up to 75 guests. 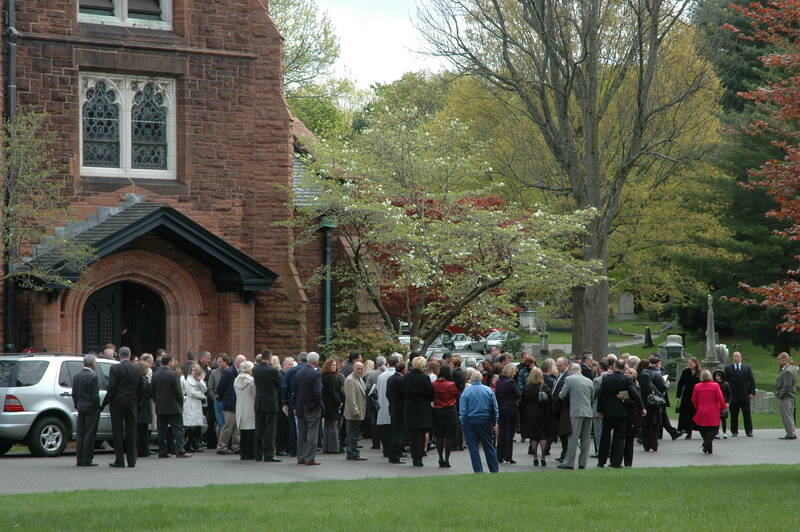 The grassy expanse in front of Bigelow Chapel makes a wonderful setting for gatherings of up 200 guests. 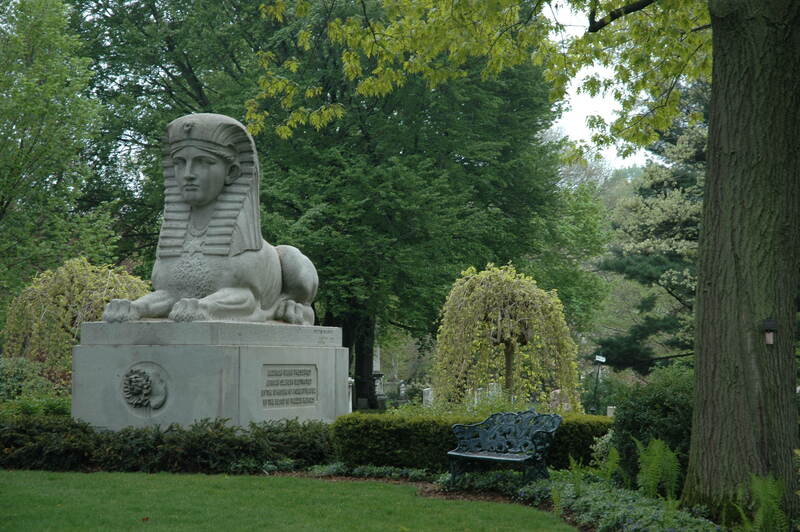 Its picturesque surroundings include Victorian-style plantings and the Sphinx, the Cemetery’s famous Civil War memorial. 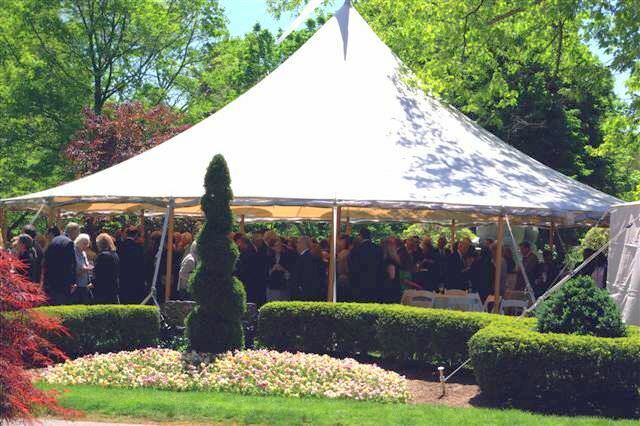 Bigelow Lawn can accommodate a tent, and works well as a reception spot for before or after a service. 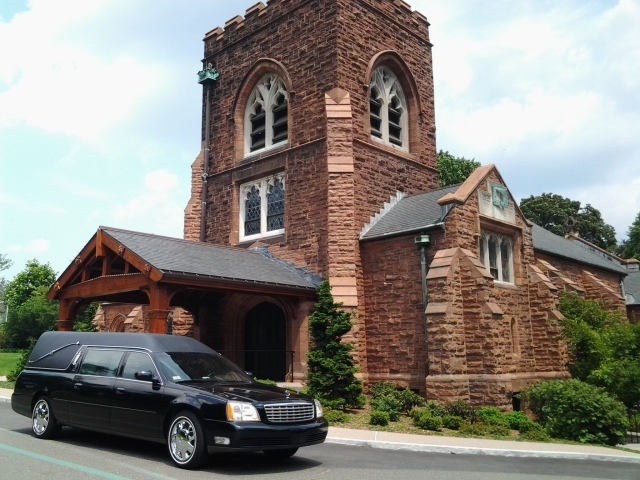 Mount Auburn is happy to assist families in the planning for memorial services and receptions. A list of clergy, florists, musicians, and caterers who work with the Cemetery regularly is available upon request.